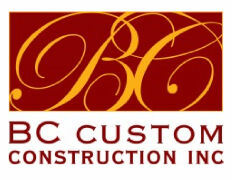 ###BC Custom Construction, Inc.: Providing the best quality, value and service. ####Quality Emphasis on value and quality are the cornerstones of BC Custom Construction. We believe that building a quality product is absolutely essential, and our keen eye for detail has placed BC Custom Construction in the forefront of luxury homes in Oregon and specifically, Portland luxury homes. ####Value At BC Custom Construction, we work closely with you at every stage in the home-building process – from lot selection and floor plans through to adaptation, interior design and the building of what will be a truly custom Portland home. ####Service We understand the importance of knowing the needs of Oregon home buyers. Every new home is our chance to prove our ability to deliver exceptional service, superior value and enduring quality. Customer service and satisfaction are commitments made to each buyer and home built throughout the Portland metropolitan area. To the homeowner, this means assurance of enduring quality and peace of mind.